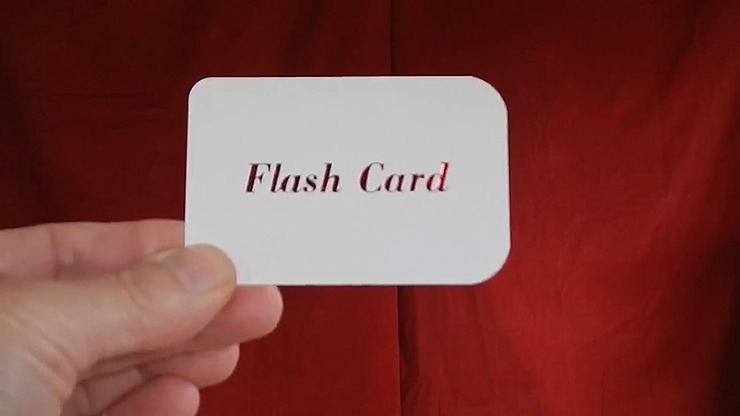 The push button electronic flash unit is attached to a standard playing card, and comes in a gloss white card box with a hot stamped card reading Flash Card. The flash unit can be inserted into any standard card case. Runs on one or two AAA batteries, (batteries are not supplied). Just add your own flash cotton and sparkle powder. Note: Each unit comes with three extra ignite wires and you will use needle nose pliers to change the wire, (pliers not supplied). Each wire will fire the flash over fifty times. Also includes a "How to Link". Routines: "A Real Flash Card" and "Find the Chosen Card in a Flash".